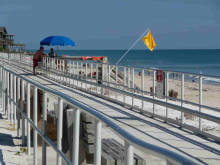 Venice, Florida is a great place to retire for anyone who loves a small-town feel in a beachfront setting. It is charming, quiet, and quaint, with low crime rates and plenty to do, with the city amenities of Sarasota or Fort Myers only about an hour away in either direction. 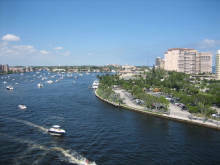 Venice is divided into two areas by the Intracoastal Waterway, giving the area a unique island feel. While homes on the water in Venice are fairly pricey, residences farther inland are much more affordable. South Venice is popular for retirees, as this area is where many golf courses and other amenities are found. The Veteran Golf Course neighborhood is also popular with retirees. Click the tabs on the left to learn more about what it's like to retire in Venice! Match me with 3 top Venice Realtors!